We do all this because this great feast calls us to do three things: first, an authentic celebration of the Eucharist; second, a deepening of our devotion to the Eucharist; and third, a greater generosity in our own eucharistic presence in the world. First, the celebration of the Eucharist is widely accepted as the most important thing we do as Catholics. After all, the Second Vatican Council proclaimed authoritatively that the Eucharist is the “source and summit” of our life. Thus, the better we celebrate the Eucharist, the better we are equipped to live out our Catholic calling. Second, though extremely popular in the past, eucharistic devotions such as eucharistic processions and holy hours have become somewhat rare as they leave many people indifferent or even apprehensive. Thankfully, these ancient devotions are gradually rediscovered and reintroduced, often at the request of young people. We have to be aware, though, not to consider these devotions as a litmus test for a person’s devotion to the real presence of Christ in the Eucharist, in particular, and one’s commitment to Catholicism, in general. Therefore, let us celebrate the Eucharist well. Let us engage in the eucharistic devotions, and let us remember that we break the bread in order to learn how to give our life for the well-being of the world; that we adore Christ in the Blessed Sacrament in order to learn how to see him in every person who dwells on earth; and that we share in the body of Christ in order to become the body of Christ. 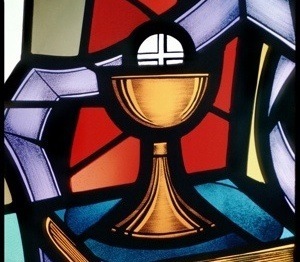 May the feast of the Body and Blood of Christ inspire a greater devotion to and participation in the body of Christ. van Parys is the director of liturgy and sacred arts at the Basilica of St. Mary in Minneapolis. This column previously appeared in the basilica’s newsletter.